Try as they might, Apple can't get Samsung's latest handset blocked from launching in the U.S.
Galaxy S fans wait with bated breath for next Thursday to get their hands on Samsung's latest handset, which caught a lucky break this week due to a scheduling conflict. 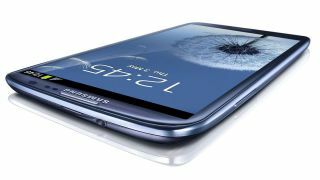 While Apple planned to block the June 21 launch of the Samsung Galaxy S3 here in the U.S., those plans have been scrubbed by the overloaded calendar of Lucy Koh, the U.S. District Judge overseeing the patent case between the tech titans. Should Apple move to request another hearing, it's likely to occur after June 21, by which time the Galaxy S3 will have already found comfort and friendship in the hands of Ice Cream Sandwich lovers across the nation. Meanwhile, a report on Wednesday details some of the growing pains Apple is going through in its effort to extract Google Maps from the native Maps app in iOS 6. For users who rely on transit or walking directions, iOS 6 will highlight third-party apps from the App Store instead of offering guidance of its own. "When building Maps, we looked around and realized the best transit apps for metros, for hiking, for biking, are coming from our developers," iOS chief Scott Forstall explained to developers during Monday's WWDC 2012 keynote. "And so instead of trying to develop those ourselves, we are going to integrate and feature and promote your apps for transit right within the Maps app in iOS 6." Developers can now tap into new APIs built for transit and walking directions, a clear step back from the current iOS 5 Maps app where this data is powered by Google - at least where end users are concerned.